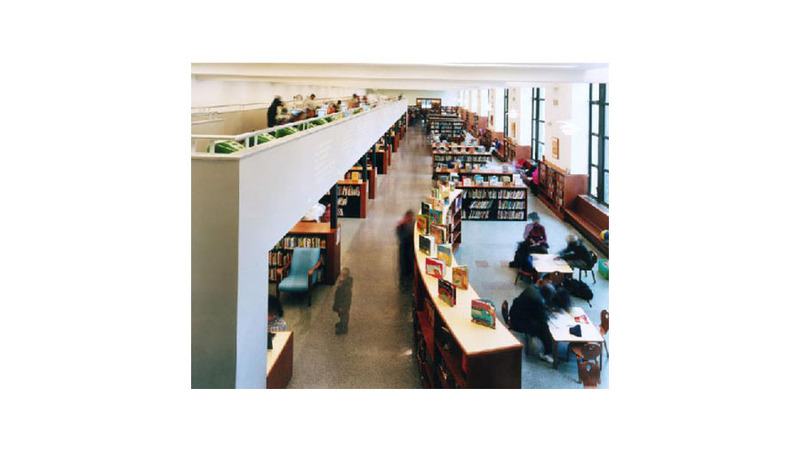 As the Director of Planning and Design for the Brooklyn Public Library, Elisabeth Martin developed the library program and design guidelines for this innovative Youth Wing and managed the planning, design and construction process. The award-winning project was completed on time and within budget. Renovated poorly in 1966, the existing Youth Wing was neither inviting nor functional and little of the original remained. The replacement furnishings and finishes from the 1960’s had not withstood the test of time; dropped ceilings with recessed fluorescent lighting created a tunnel-like interior that did not take advantage of the structure’s volumetric possibilities. As the before photos and focus group responses attest, the deficiencies were even apparent to its young users: “You walk in the door and it is so boring. Everything is brown, brown, brown. 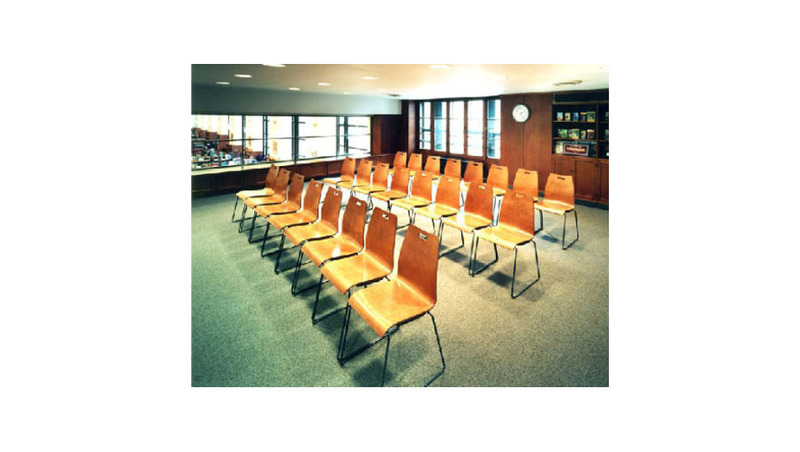 The walls are drab brown, the tables are brown, the chairs are brown.” – quote from a 12 year old focus group participant. 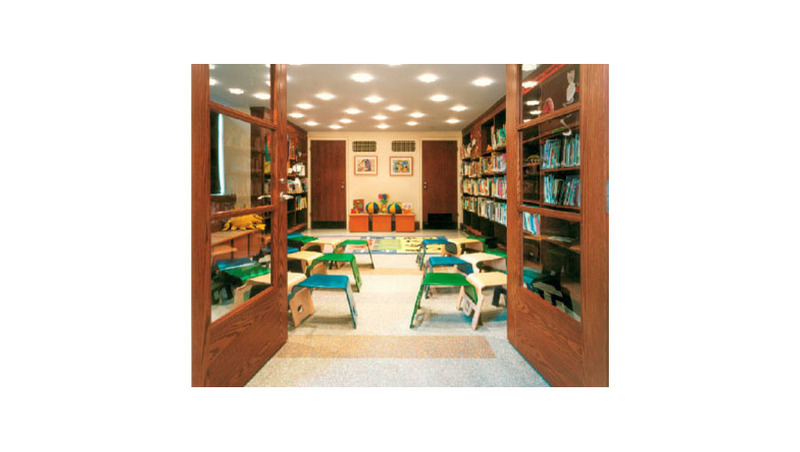 The radical transformation of the existing Children’s Room into an innovative and inviting facility accomplished all of the design goals set forth during the planning process. 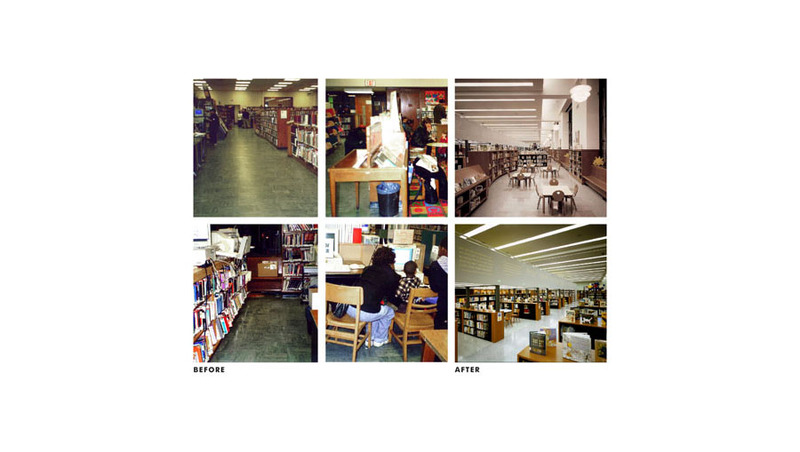 Removal of the dropped ceiling and restoration of the original high ceiling allowed spatial variety and maximal use of the 12,000 square feet of space. 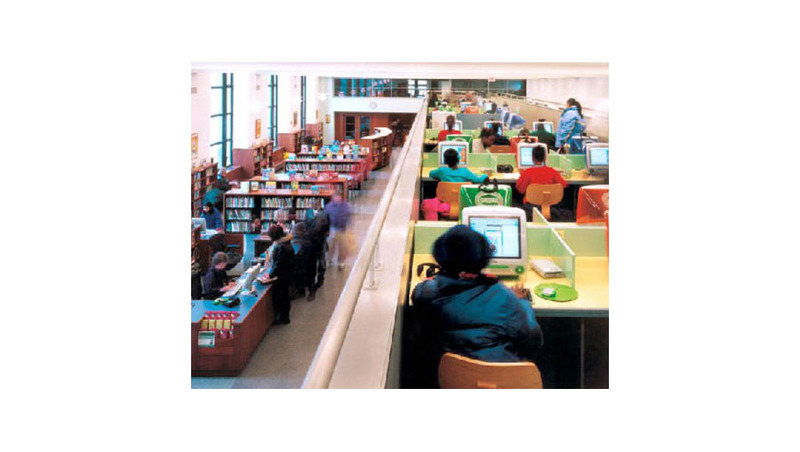 A structure was introduced to create a Technology Loft, an inviting perch with 36 color iMac computers and a staff service desk. While contemporary in feel and palette, the design respects the limited number of historic features that remained. Although the size was only increased by 20%, the collection on display was more than doubled; dedicated program rooms were added; and the presence of technology increased more than ten-fold (49 computers integrated into the space). The layout unfolds clearly with the youngest users closest to the east accessible entry and the areas serving teens – the casual reading room, the tech loft and the teen reference area – at the opposite side with independent access from the library’s front plaza entrance. 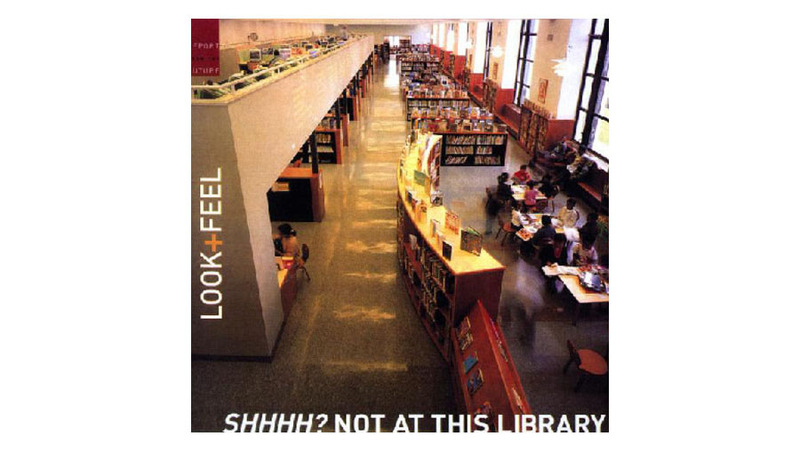 Elisabeth Martin, at BPL, with Pasanella + Klein Stolzman + Berg Architects, PC.